As if Italy couldn’t be any more beautiful and mysterious, we just found out about these wicked abandoned towns! We’ve heard of endangered species before, but these are endangered towns – places in the back of beyond. Old towns somewhere south of nowhere, trying desperately to cling to an outdated way of life. Though they are full of history, mystery, and much of the culture of old Italy, they are also long forgotten places. But, we often think that it’s places like this that deserve to be discovered! And that’s why it’s important to find out what we can about these towns, and understand their importance. Many of these towns seem otherworldly, and look like they wouldn’t have been out of place centuries ago. Let’s look at some of the stunning abandoned Italian towns just itching to be discovered! 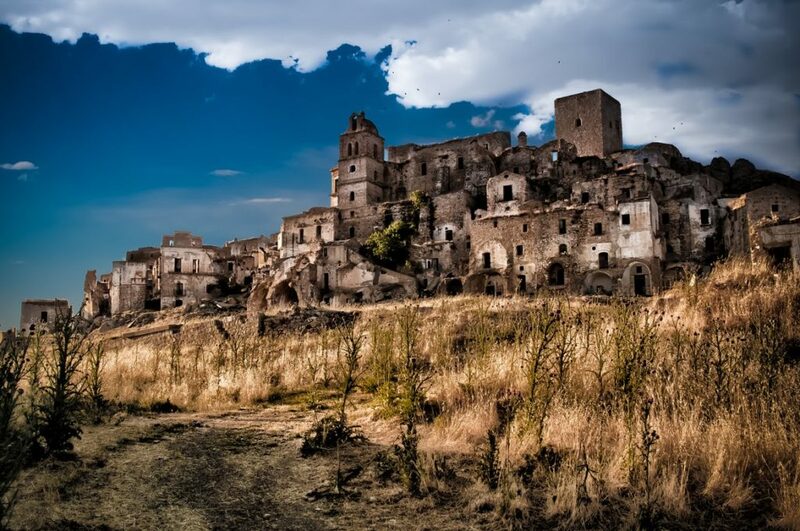 Craco is a ghost town and abandoned commune situated in Matera in southern Italy. 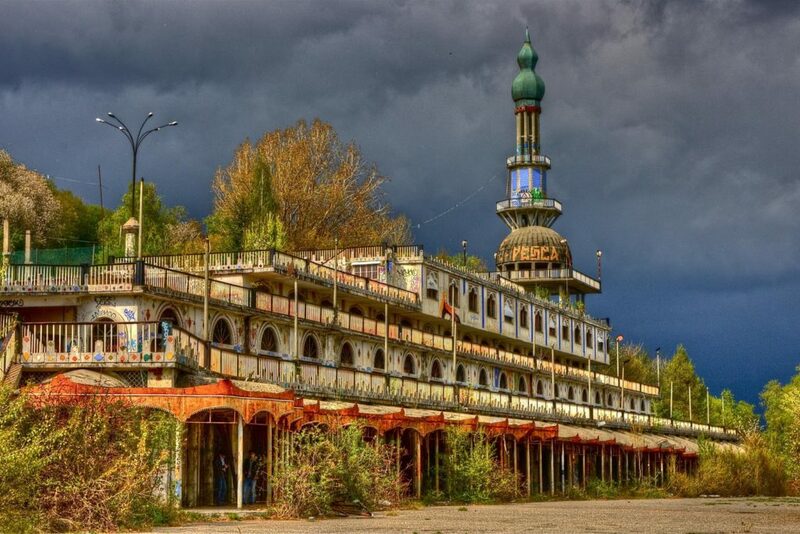 It is one of the most stunning abandoned towns we’ve seen anywhere. Craco is a hill town built on top of a steep summit that was abandoned due to natural disasters, and, following an earthquake in 1980, the place was completely abandoned. However, many of the buildings here are still intact, and the town has become a popular tourist destination. There are rumors that it is haunted, and the town has actually been used for filming – appearing in a number of projects, including James Bond movie Quantum of Solace. Just two hours outside of Rome, this otherworldly town sits atop a mound of volcanic rock. It was almost fully abandoned around the time of World War 2, and currently has around 10 residents! It is slowly eroding away and will eventually become part of the landscape once more. It’s a stunning sight and a big part of what makes Italy so unique and traditional. Sure, we’d struggle to spend over a week here with no Wi-Fi, but it’s places like this that really give us a complete view of how amazing Italy can be, and the incredible history it’s got. Consonno is one of the most fascinating additions to this list because of what it used to be. In the ‘60s, businessman Mario Bagno bought the hamlet of Consonno, just outside of Milan. His plan was to take advantage of Italy’s economic boom, and create their version of Vegas! It spectacularly backfired when a landslide in 1976 destroyed the road to the town, and the hamlet is now and abandoned ghost town. It’s strange because much of the infrastructure is still there, and seeing it is a bizarre and surreal sight. These are just a few of the stunning ghost towns in Italy that have been abandoned, or nearly abandoned. They all have some kind of an eerie quality about them, and this makes them fascinating, not to mention the fact that they play a role in the historical beauty of old Italy. These towns are a big part of the character of the country, and they deserve to be preserved and explored by as many visitors to Italy as possible. Start with these three, but there are many more to uncover as well!